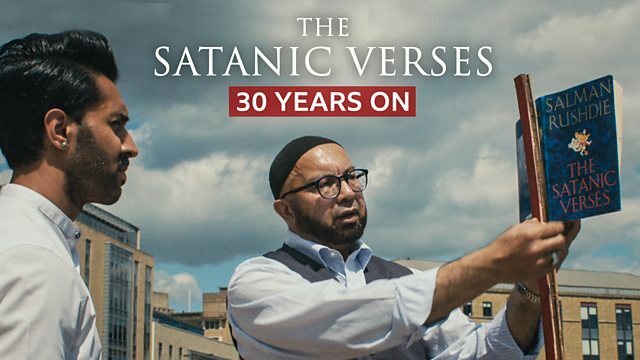 Mobeen Azhar examines the lasting effect Salman Rushdie's novel The Satanic Verses has had on the Muslim community and how the events of 1989 continue to have an impact today. The publication of Salman Rushdie's novel The Satanic Verses in 1988 sparked a culture war in Britain between those in the Muslim community, who considered the book blasphemous and called for the book to be banned, and those defending it as an expression of freedom of speech. Protests, which began in the north of England, soon spread across the UK and to the rest of the Islamic world, culminating in February 1989 with Iran's Ayatollah Khomeini issuing a fatwa - a death sentence on the writer. Mobeen hears from a range of people who were affected by the so called 'Rushdie Affair' - from the men who took an early stand against the book and organised the original protests to the writer who wrestled at the time of the book's publication with the complex questions of free speech and her own religious beliefs, and a former member of the National Front who claims that the furore over the book became a recruiting tool for them.